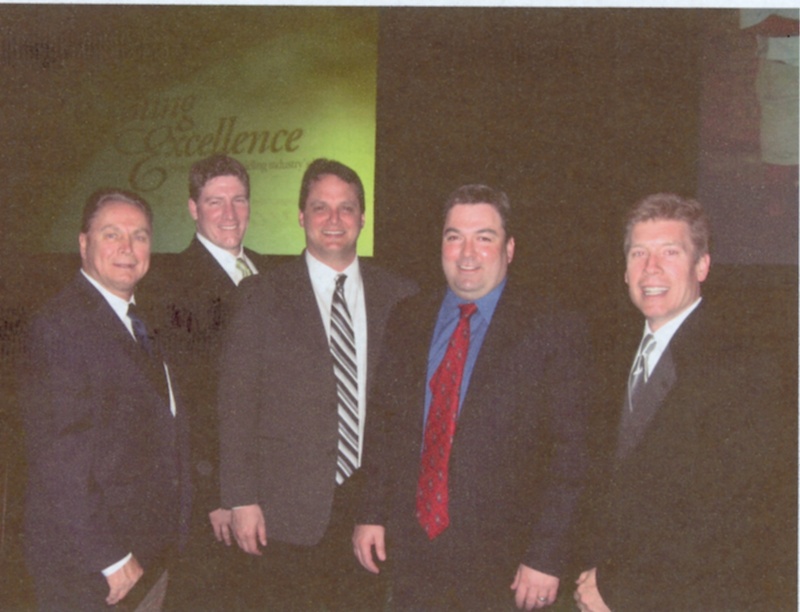 At the National Evening of Excellence, two chapter members were honored with Region 1 Contractor of the Year Awards. Shown on left is Greg Fontaine and his wife, of A&E Construction, who received the Region 1 CotY Award for Commercial Interior, which also was recognized for Green applications. On the right, Rob Faucett and his wife, of R. Faucett Construction, were acknowledged for Region 1 CotY recipient in Residential Addition Under $250,000. 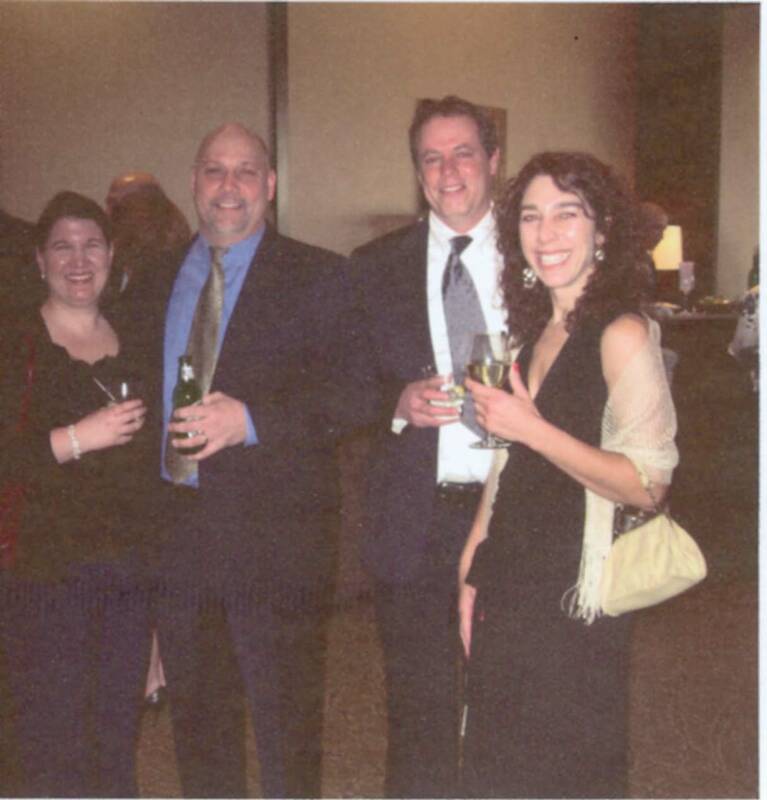 Evening of Excellence Sponsor PELLA Windows & Doors , at right, made a group showing at the CotY awards dinner on April 2 with local and national representatives. From left, Fred Diehl, NJ/NARI Chapter President, and James Snell, Chairman of CJNARI’s Membership Committee, Tony Cavallo, John Healey, all of LuxHome local distributor and David Moore, Director of Trade Sales at Pella Corp.